A complete mold investigation typically consists of two parts, 1) the physical investigation and 2) the collection of microbial samples (mold sampling). The physical investigation should be performed by a certified microbial investigator who not only takes into account the visual evidence but also uses specialized moisture detection equipment in an effort to understand conditions throughout the home. Then, based on the findings of the physical inspection, microbial samples are collected and analyzed. The samples aid in determining if hidden mold sources exist, determining the extent of contamination, and definitively showing what types of molds are impacting a home. There are many different types of microbial samples that can be collected, but the most helpful and commonly used are surface sampling, ambient air sampling and wall cavity sampling. Appropriate samples are recommended and collected based on the physical conditions found during the inspection, and are then sent to a certified laboratory to be analyzed. 1) Swab Sample –Swab sample media is in simple terms a sanitary Q-Tip. It is a rod that has a cotton-like media on the end of it. The media is rolled or pushed into the suspect material and the porous nature of the media collects the suspect material. This is then placed in a sealed container with a specialized fluid inside to preserve the sample. 2) Tape Lift Sample – Tape lift samples are pretty much what they sound like. It is a plastic or glass clear slide that has an adhesive on one side of it. This is placed on the suspect material and it is captured in a mirror image of its natural state. This is then placed in a closed case for protection. 3) Bulk Sample – Bulk sampling is actually the preferred method of surface sampling, but is not always feasible. Bulk sampling is where an actual piece of the impacted material is removed and used for the analysis. It is preferred because the suspect material is undisturbed from its natural state on its growth media and as a result provides the most accurate findings. It is not always feasible though because in some cases it may mean the removal or demolition of finished building materials such as drywall or baseboards for example. 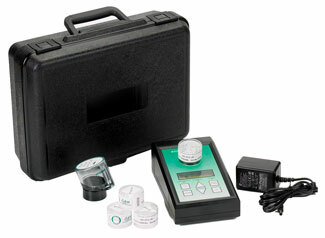 Ambient Air Sampling – Air sampling is utilized in many different scenarios. It identifies the presence, types and quantities of airborne mold spores in the area where it was collected. This is done by pulling a metered amount of air through a spore trap, which will collect any particulate within the air including microscopic mold spores. All indoor samples are compared to an outdoor control or baseline sample to determine if the indoor conditions are excessive or “elevated”. This sampling method is useful in determining the overall air quality in a space specific to mold spores, determining the overall extent of contamination in an impacted space, and is also used as an indicator to help determine if hidden mold sources are present. Wall Cavity Sampling – Wall cavity sampling is useful in determining if hidden mold sources exist within inaccessible spaces of home such as within walls or ceiling cavities. It is collected using the same methods of an ambient air sample, but only air from within the cavity in question is pulled through the spore trap. This is done by making a small hole in the wall (usually about 3/8”), inserting a sanitary wall cavity tube into the hole, and then connecting the other end of this to the spore trap. After the collection the sample is analyzed to determine the spore types and quantities that are present within the cavity. This can be a useful indicator as to whether hidden mold sources are present within a cavity. However, a wall cavity sample is not always feasible. For example: an exterior wall with insulation inside of the cavity is not an ideal location for a wall cavity sample because the insulation fibers can cloud the sample and may make it unusable. Mold sampling is an important part of performing a mold inspection of a property. However, sampling is not a tell all. Mold sampling should always be done in combination with a thorough physical inspection of the property in an effort to avoid false positives and/or false negatives. Additionally, both the inspection and the sampling should only be performed by a certified, professional microbial investigator. A good investigator will be certified to perform mold investigations and collect microbial samples, be able to think outside of the box and be diligent in examining specialty situations, and have background knowledge in areas like construction, water restoration, mold remediation and indoor air quality.